Everything he touches tranforms into gold (good for him!). Tim Ferris, author, public speaker, and entrepreneur, has written about many topics, including language learning. Honestly, I didn’t know who he was until a dear reader (Don) left a comment on one of my previous posts writing that it would make a great blog post if I translated into Italian the 13 sentences that, according to Mr. Ferris, are the grammatical key to learning any language. 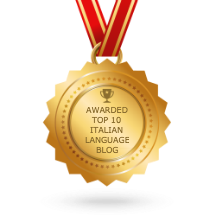 “If you would provide the correct Italian translation for each of these sentences, it would be very helpful and much appreciated”, Don and Elin. 1) The apple is red. La mela è rossa. 2) It is John’s apple. È la mela di John. 3) I give John the apple. Io do la mela a John. 4) We give him the apple. Noi gli diamo la mela. 5) He gives it to John. Lui la/lo* dà a John. 6) She gives it to him. Lei la/lo* dà a John. 7) Is the apple red? La mela è rossa? 8) The apples are red. Le mele sono rosse. 9) I must give it to him. La/lo* devo dare a lui. 10) I want to give it to her. La/lo* voglio dare a lei. 11) I’m going to know tomorrow. Lo saprò domani. 12) I can’t eat the apple. Non posso/riesco a mangiare la mela. 13) I have eaten the apple. Ho mangiato la mela. *depending on the genre of the direct object of the English sentences (“it”), in Italian we can have two possibile translation: “la” and “lo”. We need context to determine the right translation. Supposing we are talking about the apple, then it is “la”. 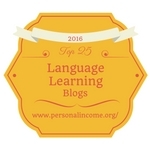 So I have searched a little bit more into this, I have found his blog and started reading a few of his blog posts regarding language learning. The first thing I noticed was the following sentence: “learning in record time”, and I quote, which appears constantly in his titles. Is it really necessary to learn a language in “record time”? Is it effective that way? Who are you competing against? Why do we have the urge to do everything as fast as we can? When it comes to time, I’m firmly convinced that there is no such thing as “learn a language in 1 week”, “become fluent in 3 months”, or “learn in record time”. In most cases, it takes years. Since I’ve started my YouTube Channel, I have never said anything like that to my viewers, even though I receive a lot of questions like “how long will it take me to learn Italian?”. I haven’t because I would tell a lie if I answered: “you will learn Italian in three weeks”. Who am I kidding? From my experience, I know that it takes time, dedication and effort. I have been studying English for over ten years and I still feel like there are so many things I don’t know about it. That is because languages are ever-changing. How long it takes to learn a language depends on the student, how much they are willing to commit and how much they can commit (most people work/study full time), how much info they can absorb at once, if they are prone to language learning, yep, there’s that. Some people are better at maths, others are better at language learning. It’s just the way it is. I don’t think everybody can do anything. For example, I would love to study scientific subjects, but it’s just not my thing. One other thing I don’t agree much with is considering all languages the same. From my experience, I don’t think one person can learn Arabic or Chinese in the same way another learns Spanish. The approach is different. What’s more, it all depends on the student’s native language. I know of Italian classes specifically created for Asian students, because they have to learn how to use our alphabet. Also, every Russian language course at university level in Italy is precisely made for Italians, this means that grammar books and textbooks are designed to help Italian students. Affirming that you just can learn to say the 13 sentences above to speak ANY language means underestimating the difficulties languages carry with them just because they are languages. They go hand in hand with culture, and this is something to bear in mind when studying any language. Language is the realisation of how speakers’ minds are shaped, if that makes sense, and this is hard to reduce to 13 sentences. Non posso mangiare la mela. Non riesco a mangiare la mela. “Can” in Italian can both mean “potere” e “riuscire”. How do we solve this problem? With context. If I knew the reason why the speaker couldn’t eat the apple, I would have given just one option. In the first case, “non possono mangiare la mela” it is implied that they could, it’s in their ability to eat the apple, but they won’t for a number of reasons: they are allergic, they aren’t allowed to, they are in class, etc. As for the second possible translation, “non riesco a mangiare la mela”, it is implied that they can’t eat the apple because it’s not in their ability to eat the apple, they might have toothache, they are running late for school (they don’t have time), etc. I talk more in depth about the difference between “potere” and “riuscire” in this video lesson. So this is just to say that every sentence, even the shortest and easiest one, is actually a complex world of pragmatic assumptions and linguistic implications, because language is not something fix, we can’t decide what to study and what not. Language and context are inseparable. You have probably understood that I don’t agree with the 13 sentence theory. However, I think it would make a good starting point for introducing and exploring the basic notions of grammar. Other than that, it might work from a strict grammar point of view, if students are just interested in learning grammar (which I highly doubt!). I say basic knowledge of grammar because these sentences make use of pronouns, present tense verbs and their structure reflects the one of simple sentences (Subject + Verb + Direct Object + Indirect Object). In Italian that would be basic grammar knowledge. Since languages are not solely made of grammar, the theory would have to be integrated somehow; and it could have been presented differently, not as a way to speak ANY language, but as a tool to start building your grammar knowledge. The 13 sentences should then be adapted to the language of choice. Have you ever used this theory to study? Or do you know anyone benefiting from its use? I would like to know your take on this. 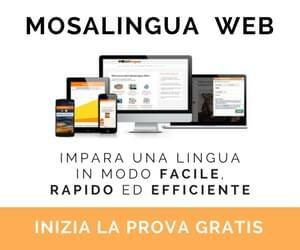 Articolo successivoImparare una lingua è difficile, ma non temete! I have studied English using a similar system. It was many years ago for people which wanted to leave USSR. This people needed in a short time to start communicate, because education for foreign languages in Soviet Union was ineffective. The system is very interesting and effective , but sure not 12 sentences. If you are interested I can explain via Skype. To write about it is a little difficult. Ciao Jacob! Thanks for sharing! Wow. What a great post. I’ve have been learning Italian for 5 months and I can That it has not been easy. Software program, flash cards, music, podcast, your channel, etc. I can say that I know more than I did 5 months but I’m NOWHERE near knowing Italian. So I guess for me “learning in record time” will be in a few years. Great post. Grazie Lucrezia. Ciao Ernesto, thank you so much for sharing your story with us! Here’s a theory that 1000 words known in any language will provide you with 80 per cents of conversation needs. And it somehow sounds logical. But this example of 13 grammar statements will provide very low percentage for grammar usage. Examples. In Russian we have six cases of noun usage. But in these sentences I’ve counted only three of them. Next. In Hebrew we have 7 seven verb structure types. That are used in three common tenses and different in active and passive. Here I’ve counted only two. So. I don’t believe in this method. Language learning is a matter of time. And experience. I totally agree with your philosophy of language learning. Language is learned in context, not just memorizing a vocabulary list. Keep on doing what you are doing!! I totally agree with you. A person cannot learn a language without understanding the culture and the spirit behind the language and the people. My first language is Spanish and I moved to the United States at the age of 3. I honestly do not remember at what point I became a fluent English speaker. I have two nephews and they’re growing up speaking and understanding both languages. They haven’t even started school yet and they know the difference between the two! I just discovered your blog and YouTube channel and I really enjoy all your content. I’ve wanted to learn Italian for a while now and your videos are making that much easier and more accessible! I’m a translator as well (English and French into Dutch) and I totally agree with you; there is no such thing as learning a language in a week or in any record time. I think you can learn some basics in a few weeks or a few months, but to really learn a language, it’s also quite important to spend some time in a country where the language is spoken. I did an internship in France and those 6 months taught me so much more than I had learned in school so far. Furthermore, I think you’re making a very valid point in saying that context is so important. We, as translators :), know like no one else that context can change everything! Ciao Lucrezia! I agree with your message here, thanks for taking the time to explain it so well. I really enjoyed this post and your commentary. Tim Ferris certainly has his methodology. While he seems like a nice enough guy, I’m not the biggest fan of the “life-hack” culture that Tim espouses. I rather enjoy the process of putting in the time and the hard work. In many of my pursuits, “the goal” is not the most important element. I love the journey and not just the destination. Thanks for addressing the gimmicks of language learning, because I always thought those claims were annoying and just not true. I’ve been studying Italian for several years (I should be studying harder!) and I love the process. I look forward to being highly conversational, dare I say fluent, but I love when I figure something out in Italian that has been challenging. Or, the moment I have a revelation when something just clicks after struggling on something for a while. I think it’s sad some may miss those moments while trying to hack learning a language.